It’s been a decade since RapidVPN made its appearance in the market and although this provider from the UK doesn’t have the level popularity that the big names in the industry enjoy, it has a loyal customer base. 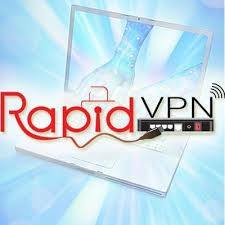 RapidVPN was established with the purpose of offering a reliable solution for customers from around the world who need to enhance the security of their internet activities. They strive to give their customers advanced encryption technology to help them to protect their data from eavesdroppers, hackers and other threats. RapidVPN has an experienced team dedicated to keep the network of servers and the security features up to date. The protocols supported by RapidVPN are L2TP, PPTP, SSTP, SoftEther and OpenVPN, which means that you get a lot of flexibility to keep your online traffic protected on a wide selection of devices. OpenVPN is considered by many as the most secure technology, but since it is not available in all platforms. you can try other options. The fact that SoftEther is included in the list of protocols helps RapidVPN to stand apart from other providers since this is a relatively new technology that not many companies offer. Softether is fast and flexible and it is good to see that RapidVPN gives users the chance to select this option. At the moment, RapidVPN offers a dedicated VPN software for Windows and Android only, but the provider is working to launch a client for Mac and iOS soon. In the meantime, it is possible to set up the service in these and other platforms (including Linux) manually. The client is easy to use and it provides easy access to the servers and features supported by RapidVPN. The servers available depend on the plan you select and you can also choose if you want a dedicated IP or dynamic/shared IPs. The first option is ideal for accessing online banking or streaming services. You get your own IP for the country of your choice. RapidVPN offers dedicated IPs in Canada, Australia, United States and 6 countries in Europe. If you prefer a better level of anonymity, shared IPs are the best option because it will be more difficult to trace the IP back to you. If you opt for the dynamic/shared IPs VPN solution, you get access to servers in 17 different locations. Keep in mind that although P2P is allowed, you can only use servers in Sweden and Netherlands for this purpose. There are five plans available and the price depends on the option you select. The US-based dedicated VPN plan costs $9.20 USD per month and it covers IPs from 10 states. If you want a dedicated IP in Canada, it will cost you $8.9 per month, while the Australia-based dedicated VPN plan is priced at $11.1 per month. The most affordable option in the dedicated IP category is the European plan, which starts at $7.50 per month. For the Dynamic/Shared IP plan you pay $6.8 per month. Keep in mind that these are monthly prices and you can save money in the long run by extending the length of the subscription. RapidVPN also offers a lifetime subscription for the dedicated IP of your choice and the price start at $278. .All the plans offer unlimited bandwidth and a 3-day money back guarantee.They accept Bitcoin, Web Money and Perfect Money. RapidVPN’s website is easy to navigate, but unfortunately it is missing some information about important aspects of the service. There is a blog and helpful guides that will allow you to set up the service manually on different platforms. You can also find details about the status of the servers and useful tips to solve some common problems. However, there is no FAQ question or a knowledge base where you can easily find more information. Support is only available via email, but you can choose the area that is relevant to your queries and Support is available 24/7. You can usually expect a response within a few hours.